Launching a passion-fuelled business is a dream for most working parents. Flexibility of hours, freedom of ideas, passion for the product ... It doesn't get much better than that, does it? In fact, it does. 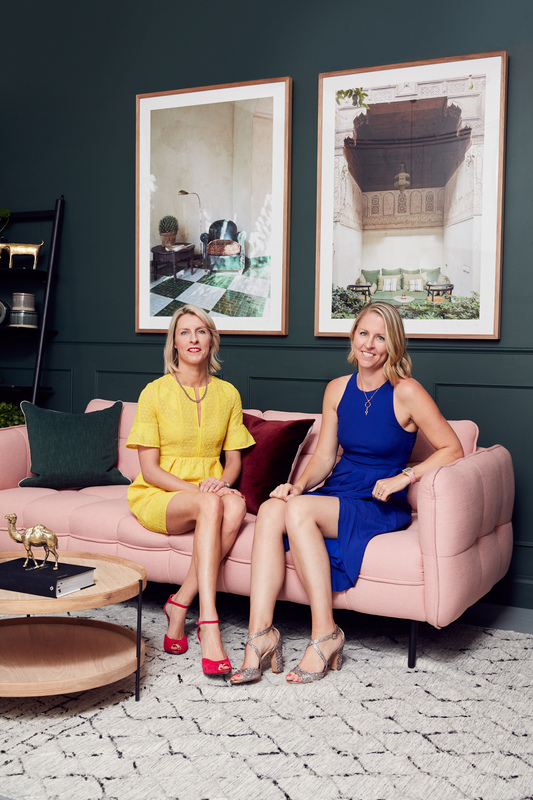 Just ask twin sisters Emily and Sarah Hamilton, who knew that the best skincare came from Australia’s flora and fauna, so they set out to start a brand that could deliver this to the world. And boy, did the world listen. With an A-List cult following, over 300K followers on Instagram and stores like Selfridges and Sephora knocking down their doors … We’d say that Sand & Sky has them well on their way to living the dream. 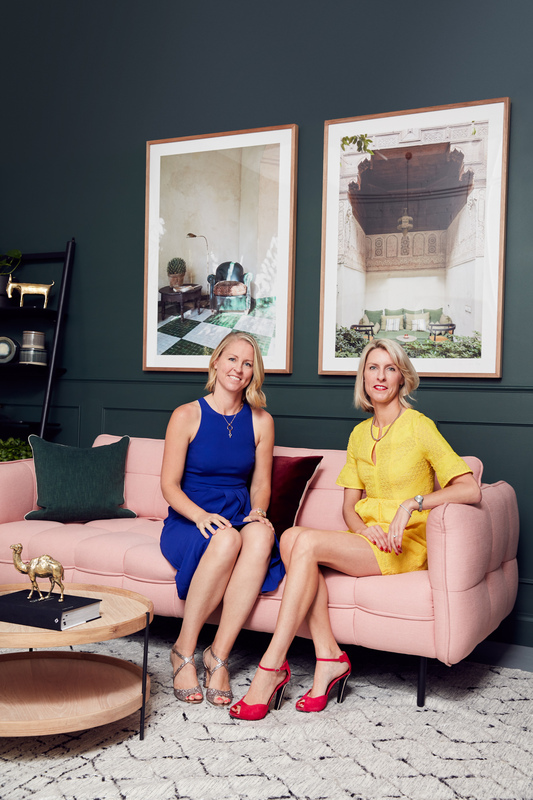 Not only have they brought the healthy Australian lifestyle to the globe, they’ve done it while being present mums and remarkably accomplished businesswomen. We spoke to Sarah about her life as a beauty entrepreneur, mother and sister in business. If Sarah is a testament to the results of Sand & Sky … Let’s just say – we’ll have what she’s having. Tell us about Sand & Sky. It’s a gift from Australia! 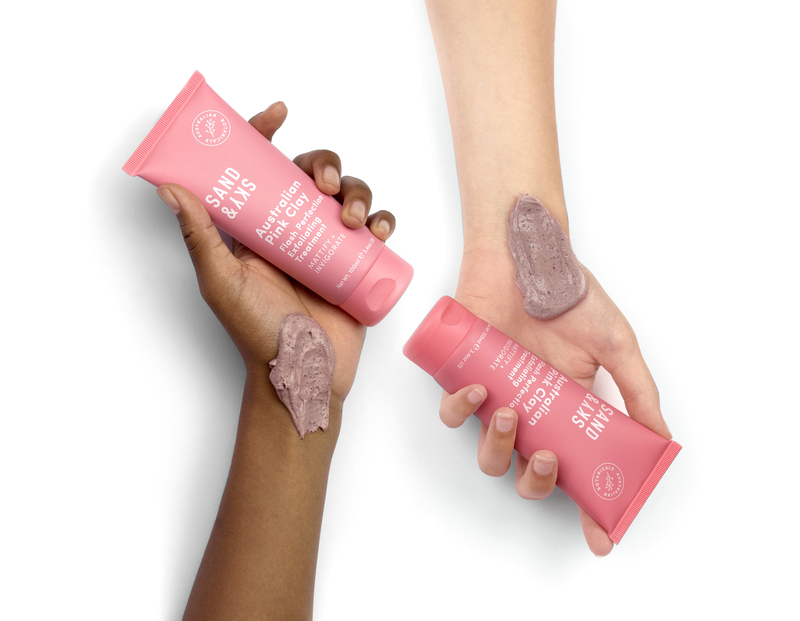 It is our small idea that turned into a big business, bringing fun Australian skincare to the world by creating products that truly work, don’t have hidden ingredients, and don’t require life to be one long beauty routine. Where did the inspiration come from to start your business? Emily and I have both lived overseas (Emily is based in Singapore) and everywhere we went, there was always such a positive reaction to us being Australian. There is this, often accurate, assumption that Aussies are friendly, laid back, beachy and living the dream. We’re also blessed with a pristine environment and some incredible botanical ingredients. Australia has become really cool internationally, so we decided the time was right to showcase Australia to the rest of the world by bringing them a product made with native ingredients with proven benefits. Can you tell us a bit about who makes up your family? Our first baby is Thompson, 9, who is an English bulldog from New York, then there’s Ruby who’s 6, Otis, 4, and Jensen, 3. As business partners and twin sisters, what do you find is key to a healthy working relationship (while maintaining your personal relationship!)? The ability to laugh and remember you are on the same team. We mix work and personal discussions all the time, and don’t feel pressure to concentrate on one or the other. Can you tell us a bit about the ingredients in Sand & Sky and why you’ve chosen to create a brand made of Australia’s flora and fauna? When we decided to make our first product (the Porefining Face Mask), our Head of Product, Sam, went on a bush medicine course in Alice Springs and came back super excited about the incredible benefits of Australian native ingredients. 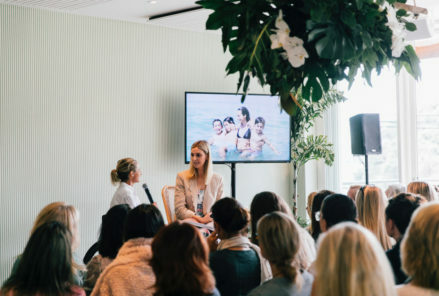 She explained how the power of ingredients like Kakadu Plum, Old Man’s Weed and Sea Kelp, alongside the purity of the Australian environment, would push results beyond typical clay masks on the market. Our rigorous testing process showed immediate and long-lasting results and gave us the confidence to launch the mask. It exploded pretty much overnight, and we haven’t looked back! What are your top beauty tips/tricks for new mothers battling with the various hormonal changes after birth and pregnancy? I think it’s important to get back to basics with your routine to see what works for you, eat well and drink lots of water, plus find time for yourself. Exercise is vital I think as it gives you a better viewpoint and helps you remain calm in the tumultuous new world of parenting. Beauty wise, go for natural products, rosehip oils, anything hydrating, and of course your Sand & Sky products. How do you view beauty, both inside and out? I am super into health and wellness, probably more so than beauty. I love exercising when I can and I try to eat well so that the wine at the end of the day doesn’t carry too much guilt. I try anything in the name of health – my current obsessions are dry brushing and making my own bamboo salt mouthwash. What does a typical day look like for you, your business and your families? 6am wake up – I don’t like seeing a 5 or below on the clock! – then the mad rush to get everyone organised. We have an au pair who lives with us and is ridiculously amazing. We have three drop offs this year between childcare, kinder and school, so I typically forget to put on mascara and arrive 30 seconds before the 2nd bell. Two mornings a week I sneak out for F45, and I have a personal trainer. I’m in the office from 9:30am till 6pm, then home for bath, reading and the kids’ bedtime. Have you had any particularly testing moments, and how have you managed through them? Challenges manifest in so many ways – selling too much, not selling enough, issues with suppliers that don’t appreciate the urgency of what needs to be done… These are just some of the things we have managed to work through. People can be testing, too, which is why it’s so important to hire amazing talents that share your vision and that you can trust. Our team has been crucial to our success, and makes coming to work every day a dream! Where do you see the future of Sand & Sky? We want to keep on promoting the power of Australian botanicals, and give women around the world access to the best skincare products possible. With a little slice of the famous Aussie lifestyle thrown in. Our mask showed us that if you build the best products for your customers, they will follow you. We believe we’re blessed in Australia with the very best ingredients. So we’ll continue developing our brand around naturally-derived, fuss-free products that really work. 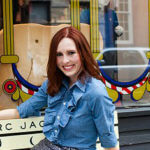 Do you think running a business is the ideal scenario for working parents? Working parents, especially, need flexibility. I think employers are increasingly open to more flexible working arrangements, which is great. Also there are businesses that I assume you can set up to work around your lifestyle. I am not sure that I have found that with Sand & Sky yet (!) but I still ensure that I attend as many show and tells and sports days as I can. Sand & Sky is a round-the-clock role due to partners and retailers that we work with overseas – Australia accounts for around 20% of our market. So I am on calls in the morning and at night. What are the biggest challenges and the greatest joys? Right now a challenge is keeping production in line with stock needs, which is on one hand a great problem to have but it’s also frustrating to let partners who have ordered the stock down. Our strategy constantly evolves – we want to create a long-lasting brand and not just a fad product, so it’s crucial we stay on top and ahead of trends in direct to consumer businesses. As for the joys, being approached by the beauty giants of the world, like Sephora and Selfridges, is incredibly humbling. We have a great team that strives each day to improve what we offer our customers, plus they are good fun. I worry when the day isn’t filled with laughter and an end of day champagne! What has been the most surprising thing about motherhood for you? As kids we would always give mum a hard time about how much she would cry when we did something good or bad. When saying goodbye she would put on her sunglasses and shed a tear. Now I get it. The emotion is ridiculous, even for the small things – you’ll find me crying when the kids get a swimming certificate. It always makes me laugh. I love a child’s point of view and getting to see the world through their unjaded eyes. What are the top lessons you hope to impart on your children? How to find a good solution for any situation. I watched Obama’s final speech as president and he talked about teaching his girls that the only thing that really is the end of the world is the actual end of the world. I loved that, so I try to talk through issues and limit the drama and I suppose make sure the kids are resilient and prepared to handle tough situations. What is your idea of self-care? How do you make time for it? Enjoyment of life, exercise and time alone. I try to see the positive in anything around me, and I try to avoid whinging. I make sure I exercise three times per week, and I drive to work for my precious alone time… ridiculous! A joy as long as you have ethical, smart and fun people working with you. A gift and a challenge, full of unexpected surprises, and a force to make you a better person (or to realise you need to become one! ).